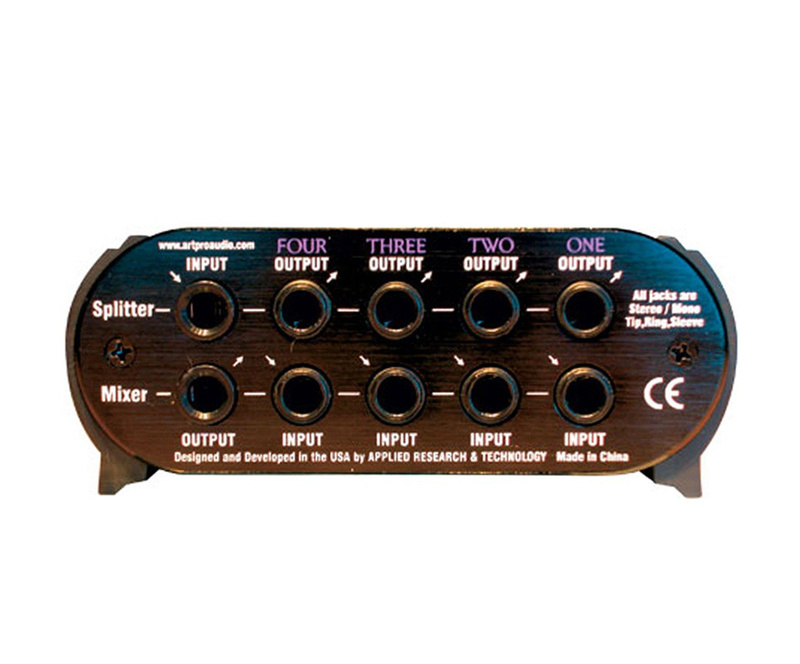 A great quality and affordable signal splitter and mixer that provides multiple configurations to suit your purpose of either mixing, or splitting separate input signals. 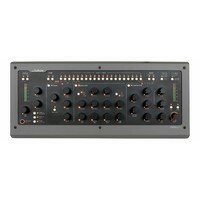 A great quality and affordable signal splitter and mixer that provides multiple configurations to suit your purpose of either mixing, or splitting separate input signals. 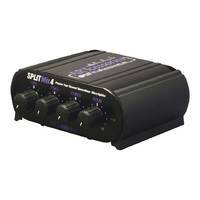 This versatile device lets the user split a single microphone signal into two separate outputs, or mix 4 separate mono or stereo inputs down to one stereo output, or any combination of the two. 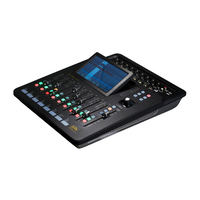 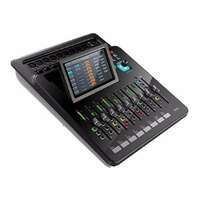 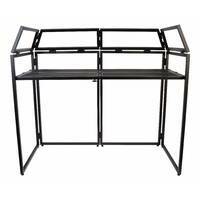 This becomes handy when needing to send a stereo or balanced signal to a front of house mixing desk, as well as a foldback monitor desk or recording desk. 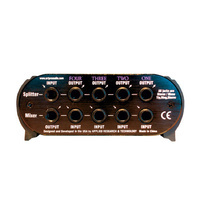 Each input and output on the Split Mix 4 is a 1/4" jack that is wired as TRS, making them applicable for both mono and stereo use. 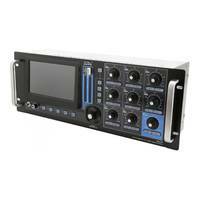 As there is no active circuitry in the design, the unit will be able to handle just about any incoming level, which can be adjusted using the level knob on the front that allows for up to 90db of attenuation. 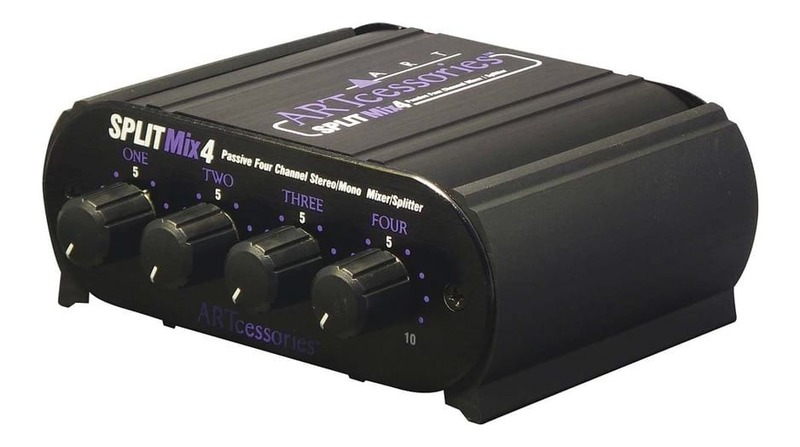 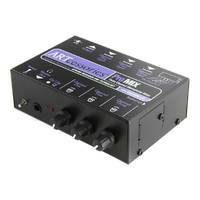 This Splitter/Mixer does exactly what it says - highly versatile and with no audible loss in sound quality. 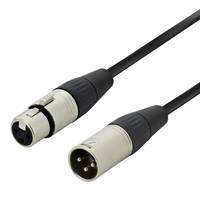 The main limitation to keep in mind is the 12dB insertion loss.